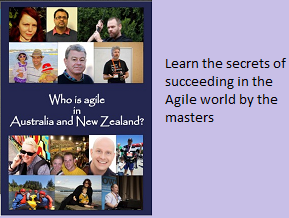 Two days of Agile Australia 2012 ended last week. The organizers had put a lot of effort in making this event a success. The key notes on both the days were inspiring, and the topics during the event not only touched upon Agile methods, but also included leadership and case studies from various companies. Food was good by the way, the weather wasn’t bad. Since the venue was within Melbourne city, the commute was easy. I would be summarizing some of the learning in the next few blog posts.